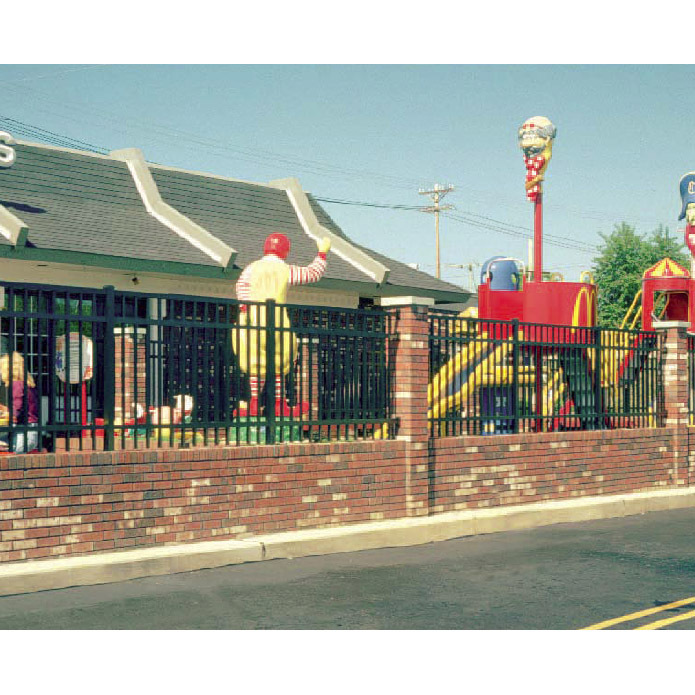 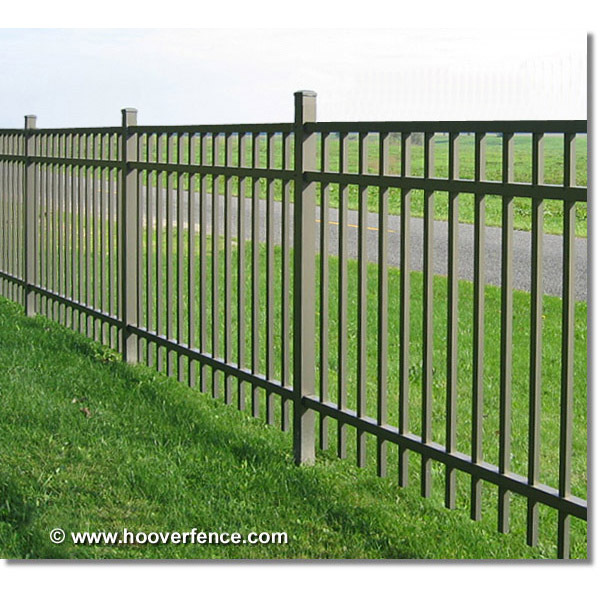 Jerith #I202 Aluminum Fence Section | Hoover Fence Co. 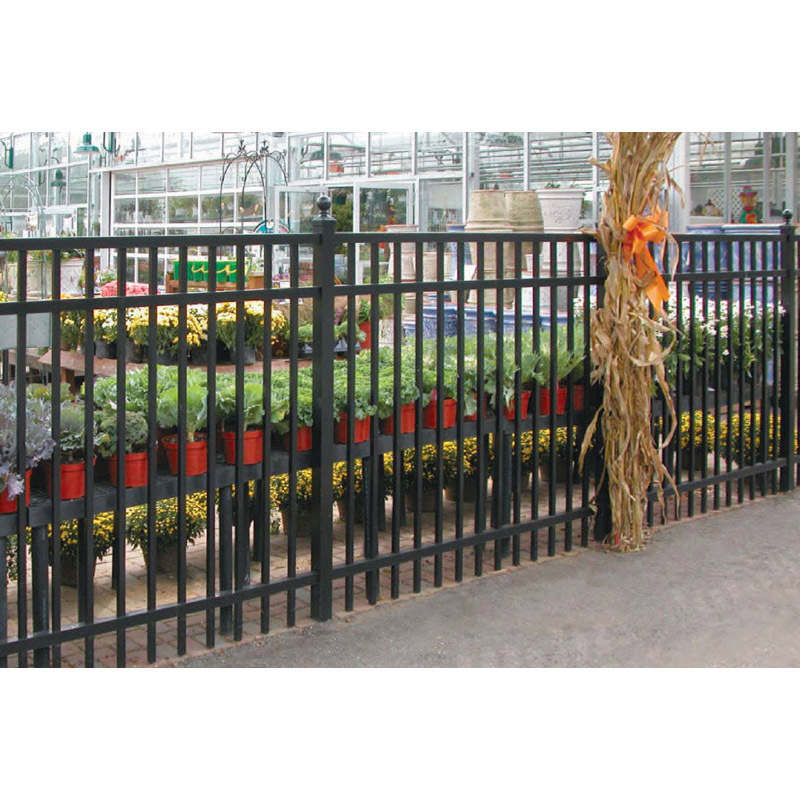 The Jerith # I202 style aluminum fence has a smooth top rail with no pickets extending above the top rail. 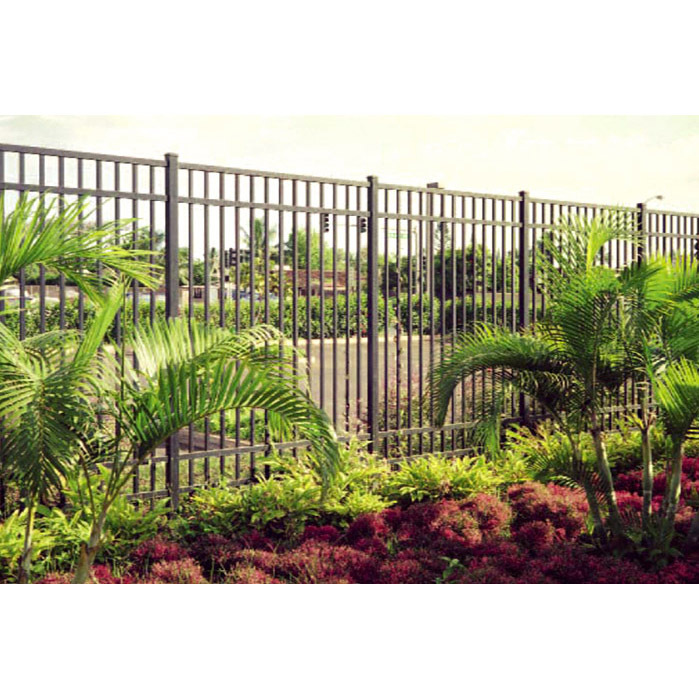 All heights have three rails except for the 8' high sections which have 4 rails.